We Replace all type of glass from Domestic Windows to Shop Fronts. We provide same day glass replacement service from shop fronts to residential windows and doors. We Cut Single Glazing & Manufacture our Double glazed units in-house for a speedy same day Glass replacement service. We Can Replace Fogged Up Double Glazing with Special A-rated Double Glazing which Stops Heat Escaping Your Home. We have the most popular types of glass in stock. Including Safety, Wire & Patterned glass. 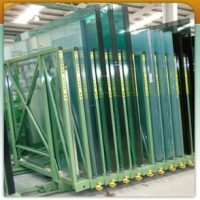 We also Stock Laminated Glass which holds together even when cracked to provide Extra Security. We Have a large range of glass in Our Showroom, including Designed glass for Doors.